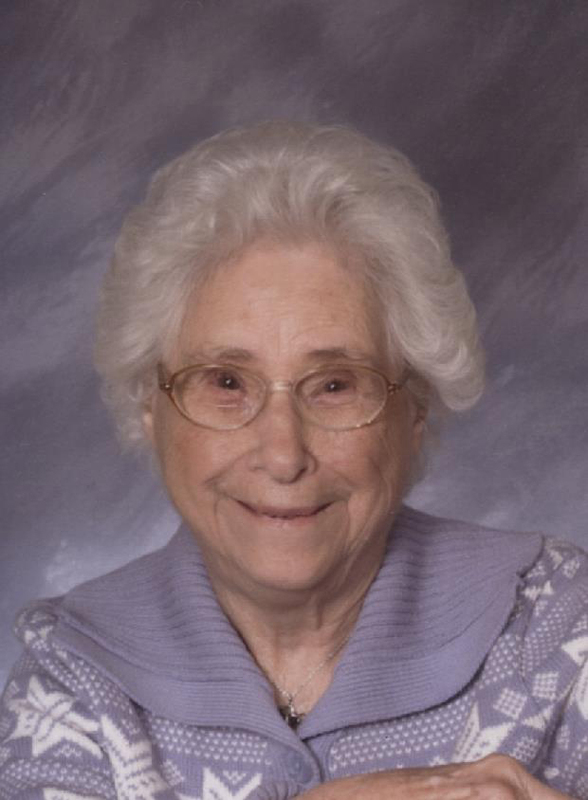 Audra Maxine Deel, age 96, of Birdseye, passed away at 3:00 a.m., on Sunday, November 18, 2018, at the Springs Valley Meadows Nursing Home in French Lick, Indiana. She was born August 3, 1922, in Orange County, Indiana to John T. and Virginia M. (Scarlett) Knight; and married Howard Deel on July 17, 1945, in English. Audra was a homemaker and farmer’s wife; and a member of New Hope General Baptist Church in Birdseye. She was preceded in death by her husband, Howard Deel, who died May 27, 2002; one son, Roger Deel; seven siblings, Henry, Amel, Sherman, Clarence, Francis, Avis and Lela Knight; by one grandchild and three great grandchildren. She is survived by six children, Frances Steffen of Birdseye, Rev. Robert Deel of Huntingburg, Harold Deel of Birdseye, Carl Deel of Birdseye, Michael Deel of Birdseye, and Loretta “Susie” Kutch of Odon; two siblings, Ruth Woolsey of French Lick and Randall Knight of Mitchell; by (13) grandchildren, (28) great grandchildren, and (1) great-great grandchild. Funeral services for Audra Deel will be held at 2:00 p.m., on Wednesday, November 21, 2018, at the Nass & Son Funeral Home in Huntingburg with burial to follow at Patoka Memorial Cemetery near French Lick. Reverend Albert Madden will officiate at the service. Friends may call for visitation at the Nass & Son Funeral Home in Huntingburg from 2:00-8:00 p.m., on Tuesday, November 20th.